Just wanted to see if anyone has had success in finding video conversion (specifically .dvdmedia to .m4v or mp4) on Mac OS X 10.10 Yosemite? I have a couple of programs that run conversions great, but that ‘.dvdmedia’ extension is throwing them all for a loop. Please let me know what you all have seen and use. Thanks! dvdmedia is a file extension that is associated with DVD media backup and only exists on Mac OS. To open and play .dvdmedia files on iPad, iPhone, iPod, etc., converting .dvdmedia to MP4/M4V is a nice choice. 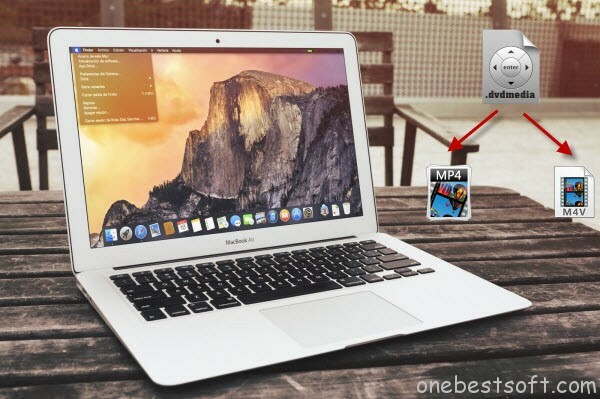 To get the work done, a best dvdmedia Converter for Mac is the key. 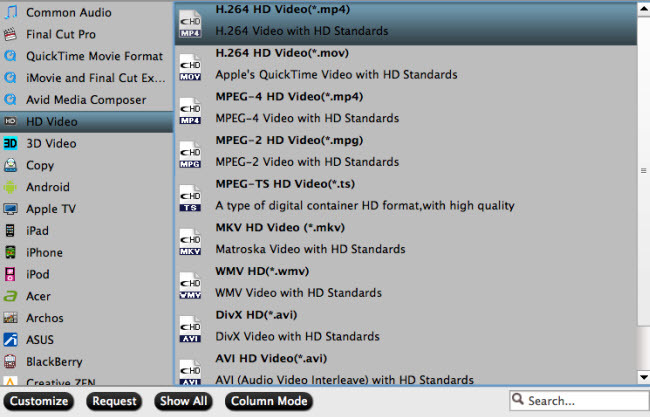 There are many video converters that can run video conversion greatly, but the .dvdmedia extension is throwing them all for a loop as metioned above. 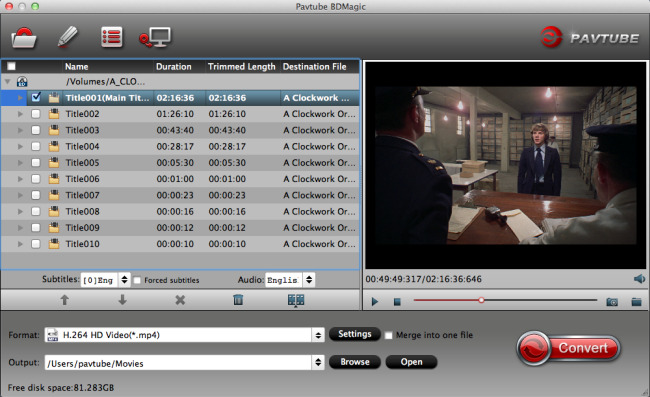 For the sake of saving your time and hassle, it’s highly recommended to use a DVD ripper named Pavtube BDMagic for Mac, know as DVD Shrink and DVDFab alternative. With this dvdmedia to MP4/M4V Converter for Mac, you can convert dvdmedia files to MP4/M4V as well as various other popular formats like MOV, MKV, FLV, AVI, WMV, etc on Mac OS X(including 10.10 Yosemite) as well as rip dvdmedia for playback on various kinds of portable devices, including iPhone 6(Plus), iPad Air 2, iPad Mini 3, Samsung Galaxy Tab S, Amazon Fire Phone, Google Nexus 8 etc with excellent quality. Now download this tool and follow the steps below to get MP4/M4V video files from DVD .dvdmedia files on Mac OS X 10.10 Yosemite with ease. 1. If you wanna a Windows version, please go to Pavtube BDMagic. Please note the .dvdmedia is a folder on Windows Platform. Right click the .dvdmedia file, and choose Get Info. Delete the suffix .dvdmedia in the Name & Extension field, and click Return. Click Confirm in the window that shows up. The .dvdmedia file has changed a VIDEO_TS folder. Step 1. Launch the best DVD .dvdmedia Ripper for Mac and load .dvdmedia by going to File > Load from folder. Step 2. Click “Format” to find “HD Video” catalogue, select “MPEG-4 HD Video (*.mp4)” or “H.264 HD Video(*.mp4)”. Or choose “M4V – MPEG-4 Video(*.m4v)” from “Common Video”. Step 3. Click “Convert” to start backing up .dvdmedia to MP4/M4V, when completed, click “Open” to find the generated MP4 files.Obviously, it is easy to use software to backup and convert .dvdmedia to MP4 and M4V on Mac (including Mac OS X 10.10 Yosemite) for enjoying without any audio and video out of sync issue. 1. Directly Copy will help to backup the 100% intact Blu-ray main movie and output an m2ts file with multiple audio and subtitle tracks for blu-ray. 3. Remove Blu-ray Disc region code and convert Rental Blu-ray or purchased Blu-ray to many other devices like iPhone, iPad, Apple TV, Samsung Galaxy S5/Galaxy Note 4, Galaxy Tab S, Amazon Kindle Fire HD, Surface, etc.